In problems of mathematical physics, Trefftz approximations by definition involve functions that satisfy the differential equation of the problem. 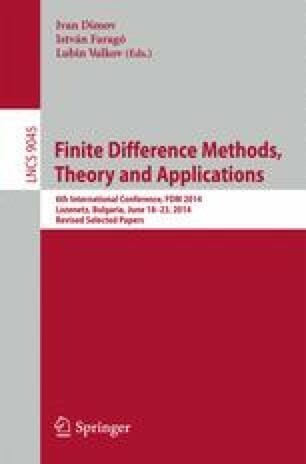 The power and versatility of such approximations is illustrated with an overview of a number of application areas: (i) finite difference Trefftz schemes of arbitrarily high order; (ii) boundary difference Trefftz methods analogous to boundary integral equations but completely singularity-free; (iii) Discontinuous Galerkin (DG) Trefftz methods for Maxwell’s electrodynamics; (iv) numerical and analytical nonreflecting Trefftz boundary conditions; (v) non-asymptotic homogenization of electromagnetic and photonic metamaterials. IT thanks Prof. Ralf Hiptmair (ETH Zürich) for very helpful discussions and, in particular, for suggesting additional discrete dof on the absorbing boundary. The work was supported in part by the following grants: German Research Foundation (DFG) GSC 233 (FK and HE); US National Science Foundation DMS-1216970 (IT and VAM); U.S. Army Research Office W911NF1110384 (IT). SMS acknowledges support by the Alexander von Humboldt-Foundation through a Feodor-Lynen research fellowship.